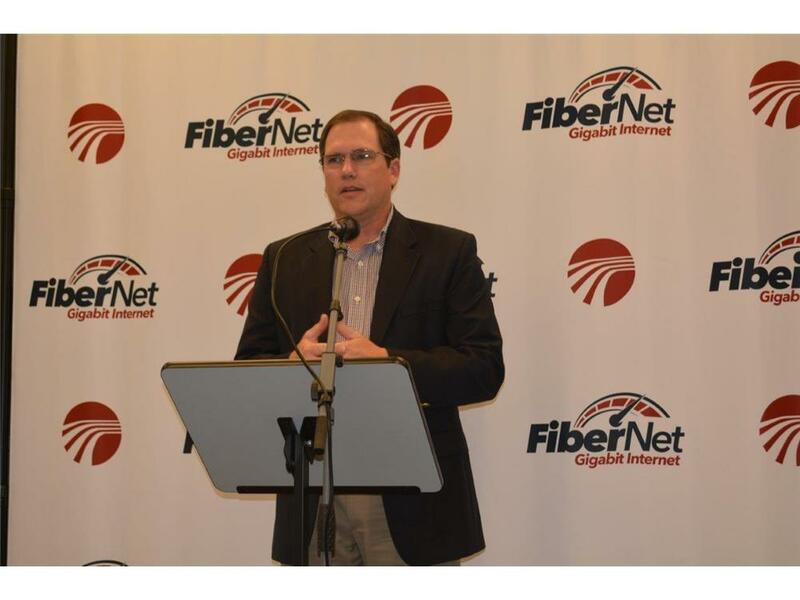 On Tuesday General Manager Greg Hale announced that Logan Telephone Cooperative will now provide Gigabit broadband services in areas where the company has deployed their fiber-to-the-premise network including the cities of Auburn, Adairville, and Lewisburg. 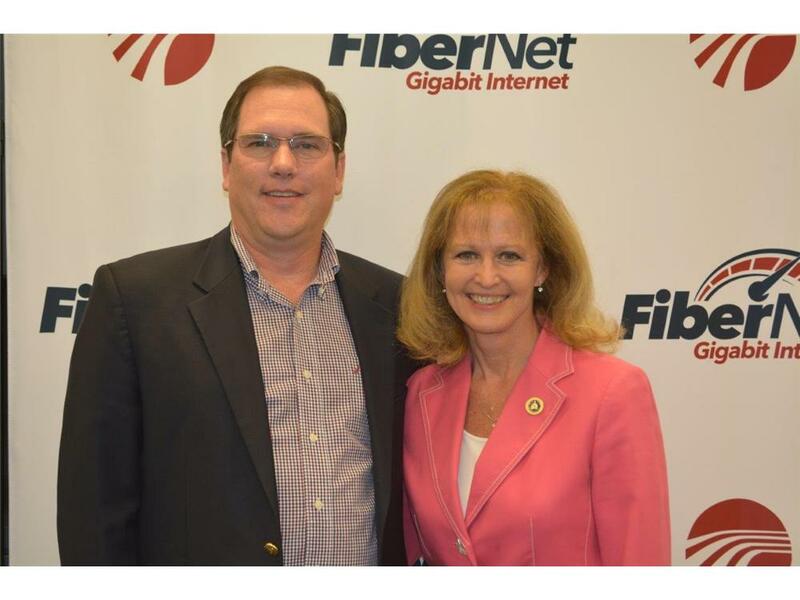 The Cooperative has made more than $20 million of new fiber investment since 2013. This investment has led to the availability of world-class Internet services including the new Gigabit offering. The Cooperative has a distinguished history of providing excellent services to members. Past achievements include being the first company in the state to provide broadband to 100 percent of members and helping to bring excellent 4G wireless services to the area through its partnership in Bluegrass Cellular. Many distinguished guests attended a special reception at the Logan Telephone headquarters announcing the new service. 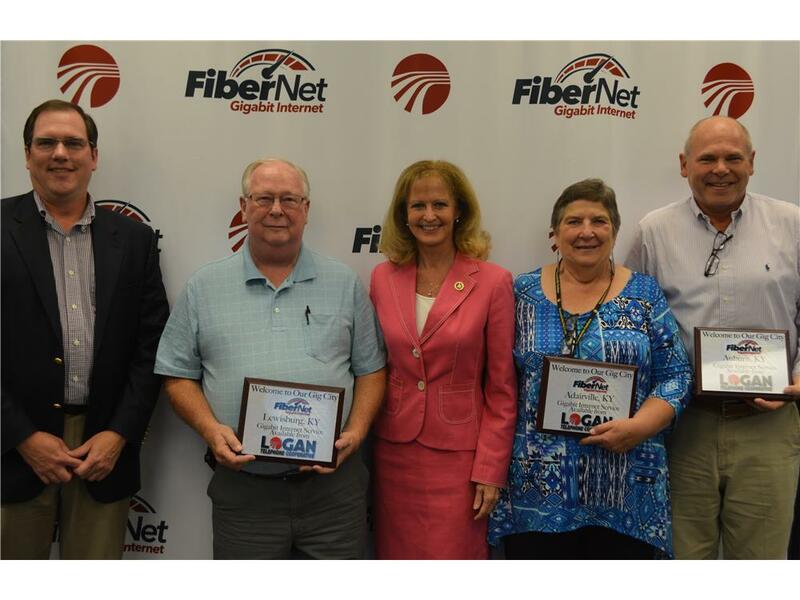 The mayors of the three new Gig-cities were presented with plaques to display at each city hall, and State Representative Martha Jane King spoke about the impact that broadband can have on a community. Gigabit service is available immediately to any Logan Telephone member that is served with fiber optic cable. The Cooperative plans to continue to invest to serve as many members as possible with fiber in the future.